Many people in old age suffer from a large number of chronic ailments. The quality of life has declined significantly over the years. Relatives are not always able to pay enough attention, patience, and care. Therefore, older people become withdrawn, lonely and lose interest to life. 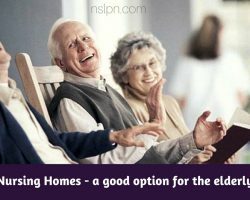 Nursing homes for elderly people will return interest to life! The way out of this difficult situation can be a nursing home. This is a kind of boarding house for elderly people, where educated and experienced nurses take care of them. In this case, the old men are regularly examined by profile doctors. In addition, guests regularly communicate with their peers. Common leisure gives elderly people an opportunity to feel better. The nursing home gives due care for invalids, bedridden patients. Also, in nursing homes, people may rehabilitate after heart attacks, strokes and other serious diseases.